Since 1991 Aesthetic has been building beautiful decks and outdoor living spaces throughout St. Louis and St. Charles counties. Our strength is our ability to think outside the box and create unique designs with all of our deck builds. We work with each customer to provide a design to fit the needs of their home and lifestyle. 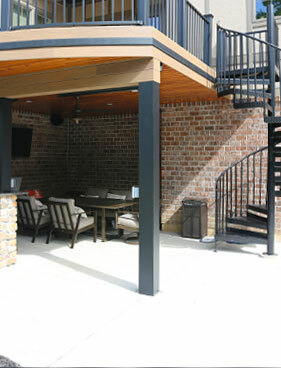 Our customers find that the addition of an Aesthetic Design & Build deck to their St. Louis home allows them to extend their living space to the outdoors while adding functionality, beauty and value that flawlessly matches the look and feel of their home. 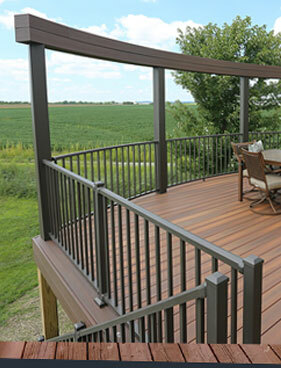 Our decks are custom designed to suit every family and lifestyle. 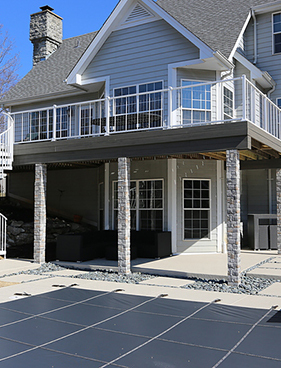 No matter your need, we are sure to build the perfect deck for you using our exceptional custom deck design process. 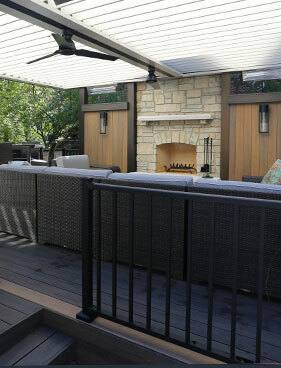 We also know that not all outdoor living spaces are truly complete with simply the addition of a deck. 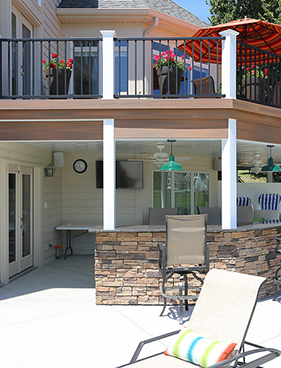 In addition to building decks we also incorporate and build into our designs screen rooms, louvered roofs, pergolas, retractable awnings, under deck ceilings, retractable screens and bars and countertops. This allows our customers to meet their goals for their outdoor living spaces. If you are looking for a total backyard makeover, we can assist you with creating a complete design package that incorporates landscape and hardscape design. 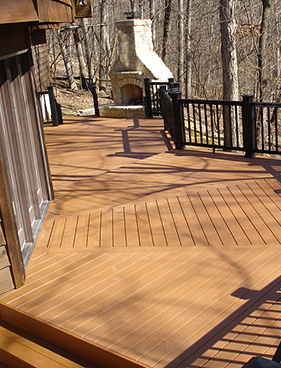 Learn more about our decks in St. Louis, or view our deck portfolio. If you are interested in a free design consultation in our 1,700 square foot showroom, contact us today! 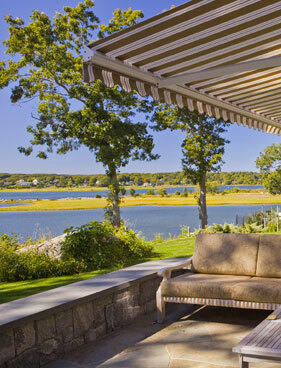 Our team of expert contractors is ready to bring your outdoor living dreams a reality.